Its a fun ten to fifteen minute anime to watch in between your Attack on Titan and Berserk. It is actually pretty funny at times, it is intended for a younger audience but so are a lot of American cartoons that people still watch. The crazy little teacher always going to extremes for the good of his students is pretty funny cause it does not always end up like he plans. Also its splits up the episodes in to two mini episodes its a good time. 100% Teach Pascal is good! 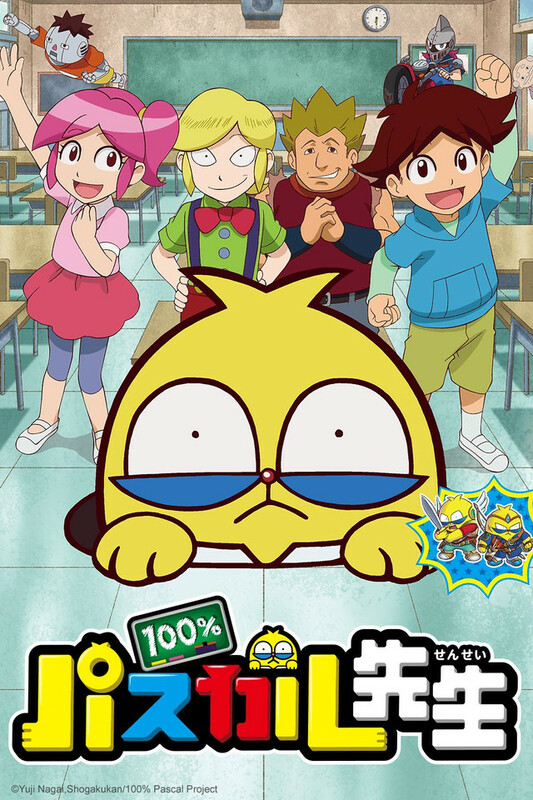 100% Teacher Pascal seems to be a series aimed at kids that relies on a lot of random/extreme humor. Despite what you might think, most of the jokes are actually pretty well executed and i had no trouble going along for the ride. It reminds me a bit of "Sakamoto desu ga?" and "Tonari no seki-kun", if you found those funny, you'll probably like this too. Not all the jokes are hits, and it gets a little overbearing at times, but i didn't expect a masterpiece. Overall, its a good time! If you've yet to watch "Assassination Classroom", then go with that. it is an anime and has a lot more going for it. Overall I feel this is just meant as a way to live off the success of the other anime in it's genre, rather than truly create it's own lively plot and original story, but watch the first episode. Always better to make your own impression rather than just going off of someone else's.